Interested in becoming a Moto Ref? Robert Brock who resides in Arkansas is going to offer a Moto Ref class for folks who are interested. If you are interested or would like more information please contact me at dromisch@gmail.com and I can pass along his contact information to you. Thanks to Jim Whittaker for adding two more races to the calendar. 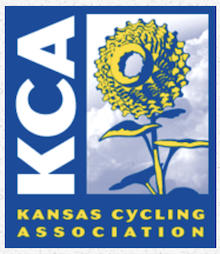 On July 29 will be Sunflower State Games crit at Haskell 1x KBAR points, and KS Category State Championship Crit 2x KBAR points on July 30 Haskell.